~ We have exciting things planned this fall! 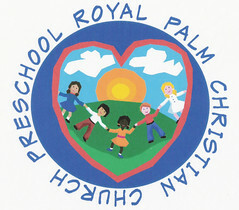 Be on the lookout for upcoming preschool events and be sure to check back for the latest information. ~ Attention parents and guardians! Interested in volunteering? We are looking for a few volunteers to help out around the preschool. Please call the office if you’d like more information (954-753-2445). ~ Have you “liked” us on Facebook yet? Check out RPCP’s Facebook Page and “like” us to stay up to date on important news and happenings, and to see the latest photos of all the fabulous stuff going on here. ~ We will be closed Monday, September 5th for Labor Day. ~ Join us for a Book Fair on Monday, October 24th. ~ Be on the lookout for more information about Grandparents Day, coming this fall! ~ Did you know that your children attend special programs like Sharing in God’s House, Music in Motion, and Story Time each week? Our creative curriculum helps us to spark imagination and curiosity that facilitates learning and development. We also explore, experiment, problem solve, and invent!